The more I travel, the more I come to realize that travel technology and the internet is both a beautiful and incredibly annoying invention. When I travel to a new destination and want to let people know I’m safe or have the urge to write one of my blog posts, I’m so happy to have access to the internet. But it’s in those moments when it’s impossible to find WiFi – a common problem when you’re exploring places like Cuba, Northern Laos, Lanzarote or other off-the-beaten-path places – I hate how much I have come to rely on the internet and it impacts on the way we travel. Don’t get me wrong, the internet is amazing but there are times when I wish for a simpler form of travel, one before we could update statuses and contact people at the click of a button. With all of these thoughts rattling around in my head, I decided to put together a list of all of the ways the internet has changed travel, for the better and for the worse. 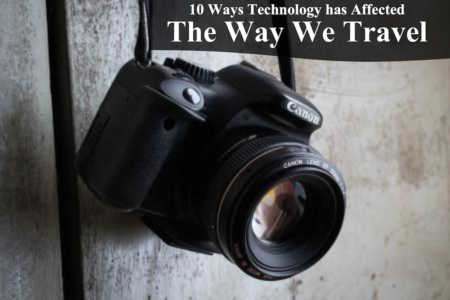 Take a look at these 10 ways technology has affected the way we travel! There’s definitely something magical about having to wait to see your photos developed. On the flip side, if you lose your camera or rolls of film, your pictures are lost forever. Then there’s the added bulk of carrying extra memory cards or disposable cameras. When it comes to instant uploads, I’m definitely thankful for modern travel technology! This is an easy one! Without the internet, I could never have had the freedom of being a professional travel blogger and making my income on the road. I would have had to find work locally or save a huge sum, making traveling full time just that much harder. Nowadays, people have the freedom to create their own blogs, online e-commerce stores and automated dropship websites which allow them to create a passive income, effectively assisting people worldwide to fulfilling their dreams of traveling the world. It seems pretty straight forward that no internet equals less contact, but it also means less information. On one hand, this could be so freeing and add a huge sense of adventure. But it also means no news of up-to-date travel warnings, virus outbreaks or natural disasters. This is another one where I can’t decide on which side of the coin I fall. No reviews of hotels, activities or destinations could make you feel like Christopher Columbus. Alternately, it could also ruin your travels. Plus, there’d be no handy apps to help me learn key phrases. When you’re traveling, space is everything. 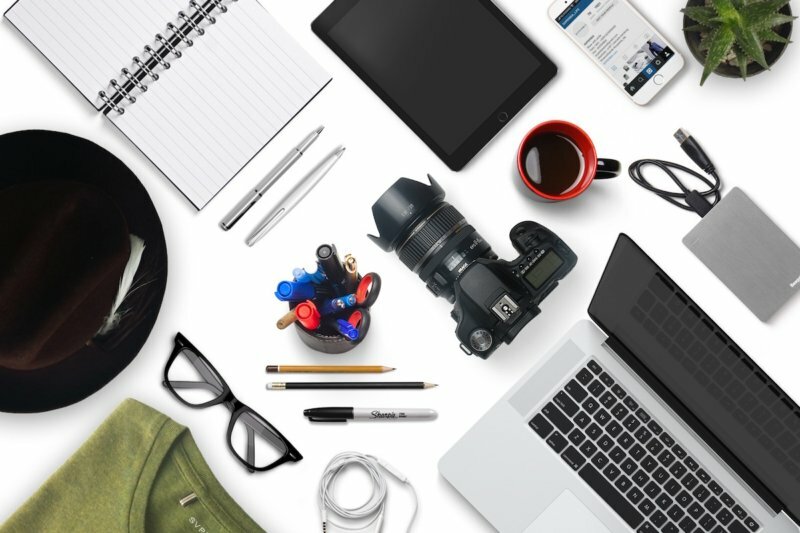 So trying to stuff travel guides, paper maps and an abundance of paper flight tickets into your backpack would be a logistical nightmare, not to mention heavy. I’m definitely fond of instant maps and online check-in. Forget using your phone or tablet for digital downloads, without the internet I’d need to carry stacks of CDs, a walkman, and spare batteries. Plus, I’d never been able to stream content on Netflix…oh, the horror! With no Skype, messenger or emails, the only way to keep in touch was via the mighty pen or expensive international calls. While there’s something nice about writing a letter to your family and friends, I’m glad I haven’t had to compromise my budget for a phone call. When you could only rely on the cash or traveler’s checks in your wallet, there was no backup if you ran out. Now with instant bank transfers and websites like Currencyfair available virtually anywhere in the world, I have the relief of knowing that should the worst happen, I can send or receive money anywhere in the world. When I meet new people, I can find them on Facebook and keep in touch. But before the age of the internet, I would’ve had to write a lot of time-consuming letters to pen-pals. However, if you’re still looking to connect while on the road without using online resources, take a look at my best tips for making friends while traveling. Back in the day, it would be a travel agent who would book your round-the-world trip, using the options available in a shiny brochure. Although there are definitely some significant perks to using a travel agent, now I have the option to search online for last-minute flights, experience the true culture with Airbnb, or even take part in a house swap, making traveling so much cheaper. There are definite advantages to traveling before the internet, but considering everything, I’m happy to be a 21st-century traveler. While there’s a definite freedom that comes without being able to connect to the web, having the internet is a great security measure. So, what do you think? Has technology affected the way we travel in a positive or negative way?